Shop No. 15056, Street10, Floor2, Gate No.40, MarketInternational Trade Mart (District 2). Introduction： Yiwu City, Yiwu City, the name of the mechanical and Electrical Co., Ltd. was established in 2002, with production, trade, sales as one of the enterprises. 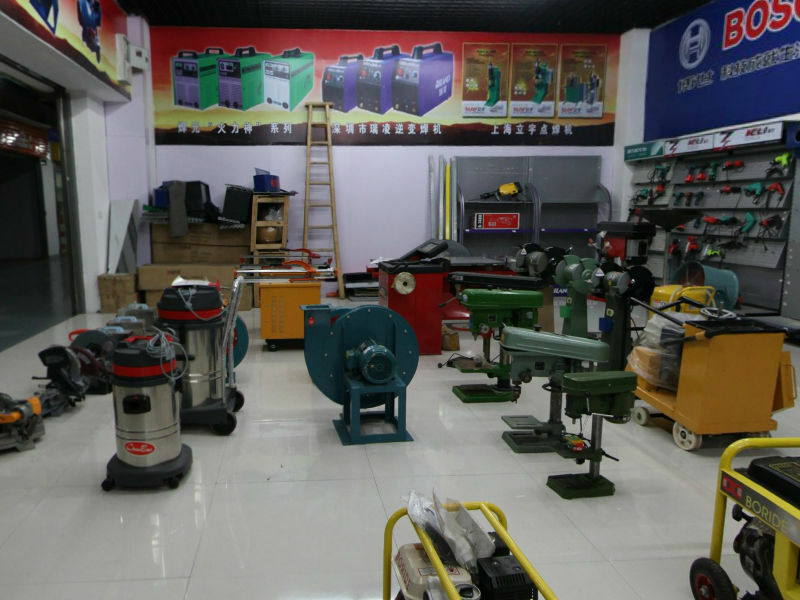 The company's products range, screw machine, air compressor, vacuum pump, dryer, air storage tank, powder Cui machine, generators, motors, spot welding machine, cutting machine, welding machine, the wind machine, hydraulic pipe, food machinery, electric tools, hardware hand tools, gas dynamic tools, woodworking machinery and other mechanical and electrical equipment. The company focus on product quality, first-class after-sales service. The company to undertake retail, wholesale, foreign trade orders.. Product range, high quality, it is worthy of the trust of our customers.